If the mark of a successful family holiday is the children forgetting about their video games for a few days, then all hail Sweden’s version of the Lake District. A couple of hours’ drive north from Gothenburg, Dalsland offers the sternest resistance to anything the evil geniuses at Nintendo have to offer. This is proper countryside, with old-fashioned, outdoor activities — more Ray Mears than Super Mario. The province is chock-a-block with lakes, rivers and streams. Look at it on a map and you might think that someone has dropped an elaborate doily just off the southeastern tip of Norway. As well as the thousand or so lakes, there are a lot of forests, so perfectly formed, so dense and pointy and satisfying to behold that they actually make you look forward to getting pine needles stuck in your trainers. The good people at Dalslands Aktiviteter, an activity centre just west of the tiny village of Dals Langed, helped my nine-year-old son and I to come up with a suitably adventurous itinerary, and before you could say, “Ooh, look, there’s a wild elk,” we were clambering into a canoe and heading down the Steneby River. Louie took up position at the front to provide muscle, while I sat at the back to steer and add finesse. We glided past fields of grazing cows, slipping casually through overhanging branches and crashing into the bank at every turn (not my fault; Swedish rivers bend wrong). We spent the rest of the day mountain-biking along graded routes and fishing for trout, basking in the sunshine and snacking on Plopp chocolate bars. Marvellous. As night fell we pitched a tent in a field and slipped into the kind of contented sleep known to rugged adventurers everywhere. Of course, in Sweden you can paddle your canoe or pitch your tent pretty much wherever. They take their right to roam — their ällemansratten — very seriously here; so seriously that it is enshrined in a law that says (I’m paraphrasing slightly here): “Do what you want, but don’t mess anything up.” In the morning, after a traditional family game of ‘Shove the Tent in the Bag’, we ventured forth, leaving nothing more than a patch of flattened grass. To get a real sense of this beautiful region we boarded a passenger boat near Håverud and travelled north along a stretch of the Dalsland Canal. This network of lakes and waterways stretches for 250 kilometres from Lake Vänern in the south to Lake Östen near the Norwegian border. We chugged past lake islands, waved to people at locks, and scoffed smoked salmon and rye bread below deck (man cannot live on Plopp alone). Lat in the afternoon we disembarked at Baldersnäs Herrgård, a splendid-looking manor house whose private jetty sticks out into Lake Laxsjön. As the sun dissolved slowly into fabulously thick forests and the lake shimmered away like some impossibly perfect puddle, Louie was off climbing trees with some “best friends ever” that he had just met and I introduced myself to a couple of locally brewed beers on the terrace. Mario who? 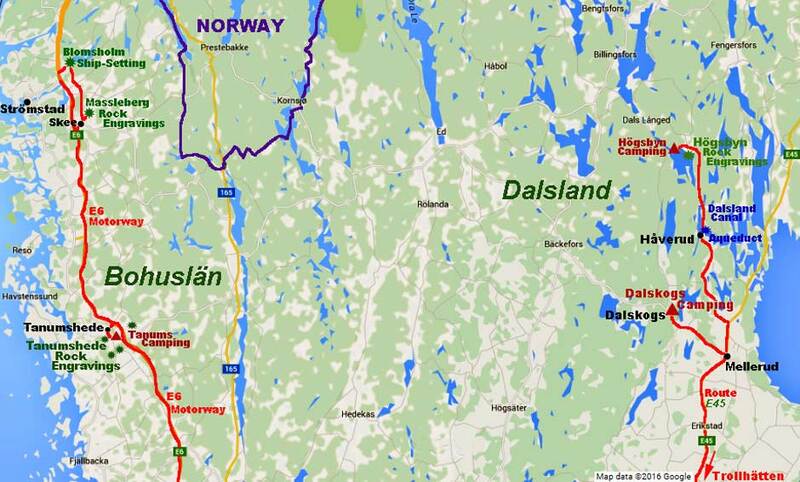 Baldersnas Herrgard has double rooms from 765 SEK (£65) (baldersnas.eu). British Airways operates a London to Gothenburg return from £68. Mike Atkins writes for the Times. Previous post ← What Is … Norwegian National Day?